We think the Mormon Wordle above does a nice job of capturing the feel of the times. 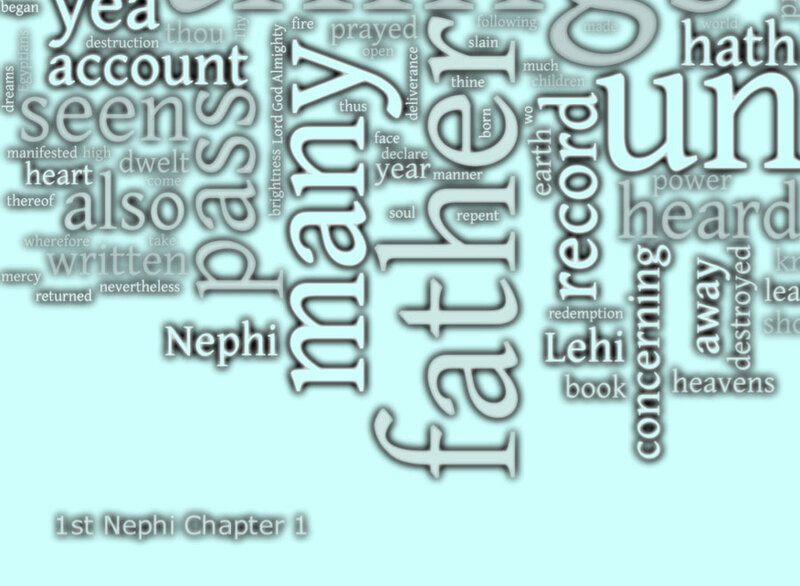 We further processed the base wordle we started out with for 1st Nephi Chapter 1 and arrived at the blue look below. It may not fit the times, put we think it has an appeal about it, especially when zoomed in to see the details. We find these Mormon Wordles very captivating when we zoom in on them like the example below.